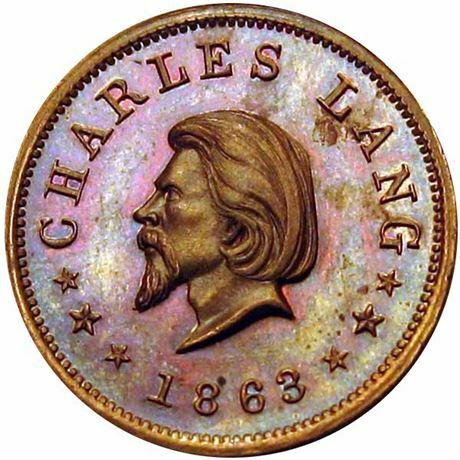 This Civil War Store Card from Worcester, Massachusetts is ascribed to the shop of Charles Lang. Lang appears to be a local engraver and die sinker who made only this one token for Worcester, Massachusetts. 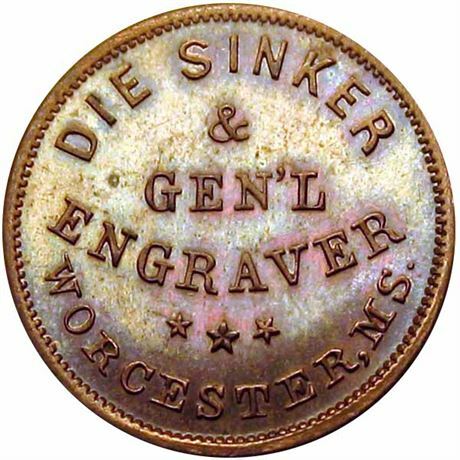 Die Sinker / & / Gen’l / Engraver / Worcester, MS.